One of the largest and most convenient of the purpose-built resorts, Tignes’ high altitude and excellent snow record make it an ideal location for skiing and boarding fanatics the world over. 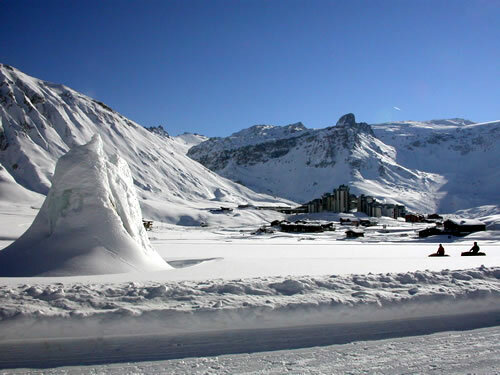 There are three high-altitude villages in Tignes: Le Lavachet, Le Lac and Val Claret, all linked by free buses 24 hours a day, giving easy access to the skiing. The smaller village of Les Brevieres is at a height of around 1550 metres and fully connected tto the ski area. The combined lift systems of Tignes and Val d’Isère (the famous Espace Killy - 300km of marked runs) have long been recognised as offering some of the very best skiing and boarding in the world. The skiing stretches from the Grande Motte glacier at 3656m down to the villages of Le Fornet and Les Brevieres at either end of the ski area. 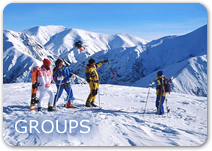 Beginners will find some good nursery slopes, whilst intermediates will find many wide and lengthy pistes, enabling them to ski from one end of the resort to the other using only blue and red runs. Experts should not miss the steep mogul fields at Tovière and Solaise and incredible off-piste such as Le Tour du Charvet, Le Grand Vallon and the Col du Pers. One of the popular après-ski venues in Tignes is the Red Lion Bar which offers many theme nights and fun and games for all. Popular in Lavachet is TC’s bar, the Yeti and Jacks bar and in Lac there are good DJs at The Loop Bar. For those still with energy, there is a bowling alley, natural ice rink and dancing till the early hours in Jacks or Melting pot. Thanks to the marvel of the internet you can now see conditions in the resort yourself using the webcam below. This webcam is provided courtesy of Tignes.net. Had a great holiday …apartment was perfect. The hotel reception exceptionally friendly. Also – thx for all your help in booking the accommodation and also the help re emailing the voucher that I forgot to take with me on vacation .